Can I view tasks in my calendar? When tasks are assigned to you, they are viewable on your calendar only from the Day View. 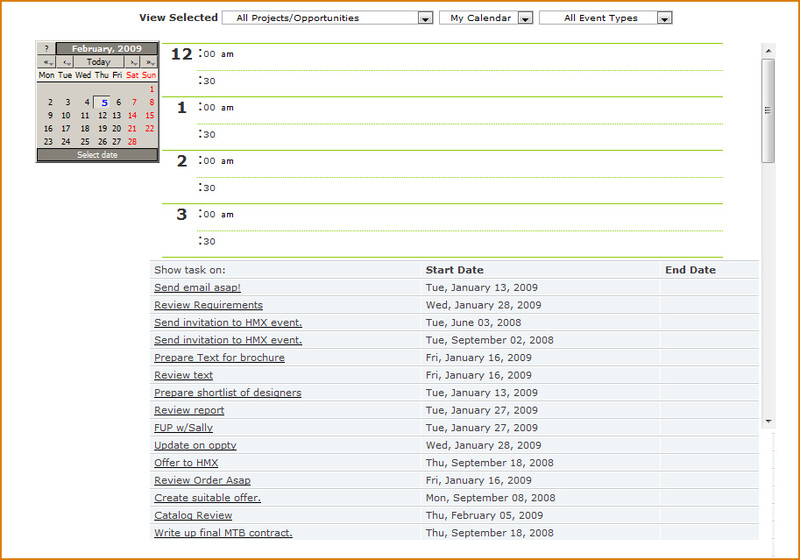 Your tasks will appear at the bottom of the day view for each day from the Task Start Date to the Task End Date. For example: If you are assigned a task which starts on the 2nd of February and is to be completed by the 5th of February, it will appear at the bottom of your day view on every day between the 2nd and 5th of February inclusive. 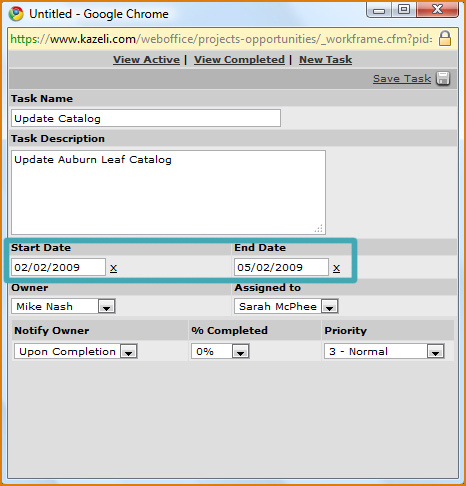 Whether or not the task appears in your Day View’s task list will depend on the Task Start and Task End dates. If no Task End Date is set: the task will appear in your Calendar’s Day View each day from the Task Start Date until the task is set as complete. If no Task Start Date is set: the task will appear in your Calendar’s Day View each day from the day the task is created until the defined Task End Date. The following table shows you when the task will be listed under the Calendar’s day view depending on if the Task Start Date and End Date have been set. Learn how to Create a Calendar Event from a Task .